Boxing gloves are cushioned gloves that fighters wear on their hands during boxing matches and practices. Modern boxing gloves are designed to protect the fighter’s hand during a bout, though competitions, sparring and other forms of training have their own specialized gloves. In velcro gloves, the velcro acts as a second handwrap that adds more stability to the wrist. 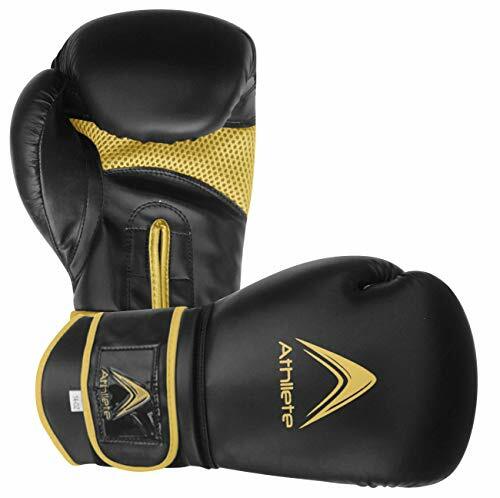 Boxing and kickboxing gloves are ideal for mma, muay thai, karate, boxing, kickboxing, cardio kickboxing, fitness training and exercise. Dense, innovative two-layer foam provides better shock absorbency and full padding on the front, back and wrist to promote proper punching technique. Features a pre-curved design with a flex grip palm. Ultra cuff wrist strap with hook and loop closure. Full padding on the front and back of the wrist promotes proper technique; Foam padding gloves use latex and PVC foam with shock absorber. ThumbLock feature keeps thumb and fist positioned correctly to prevent injury.